We all love our fuzzy, four-legged friends. Our pets bring love and light into our lives. They also introduce dander, dirt, and other particulates into our homes and HVAC systems. 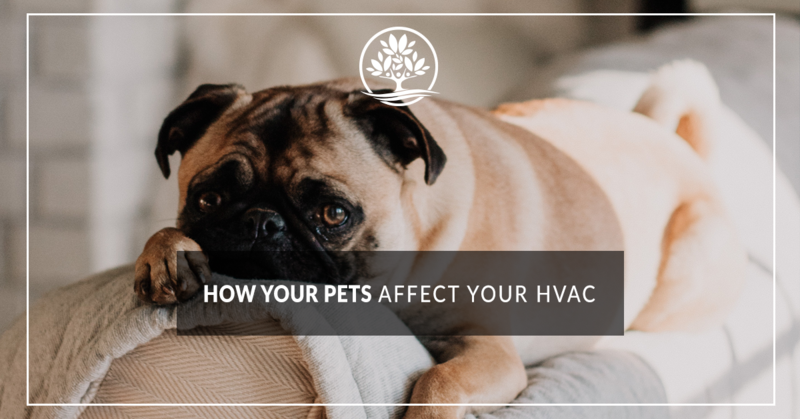 With pet allergies a concern for many people, many do not realize that their HVAC systems can help reduce these allergies. As New Braunfels leading HVAC repair service, we work with families all over to enjoy the air quality of their home as well as the quality time they spend with their pets. Like people, pets get dirty in a myriad of ways, from working and playing outside to just existing really. However, pets produce what’s called dander, which is a form of microscopic debris. It is a major source of allergens for some people, and those with pronounced pet allergies can continue to be affected by dander long after they’ve left a home with a pet. Dander spreads throughout your house as your pet moves about. It collects on surfaces like counters and shelves, as well as on furniture, appliances, and more. It can also collect in your air ducts, which means that when your AC or heat pump kicks on, that dander is forced back into the air of your home. When too much pet dander is built up in your home, it can affect the quality of your indoor air. Fortunately, you can put your HVAC system to good use in limiting the effects of these annoying allergens. Follow these simple steps and you’ll enjoy a higher quality of air in your home. Depending on how often you use your HVAC system, you should be doing this every six months or annually anyway. But for pet owners, changing the air filters in your AC or heat pump may be a more regular process. You should change your filter every one to three months with a high-quality, fine filter that’s specifically designed to capture animal dander and other allergens. The higher the quality of filter, the more particulates and debris will be kept from circulating in your home. This limits your allergy symptoms, while also limiting how often you need to clean your air ducts. Your ducts are some of the hardest working parts of your HVAC system. They also are a magnet for dirt, dander, and debris, piling up and causing a host of health issues. When dander and debris build up in your ducting, the HVAC system pushes it around your house. 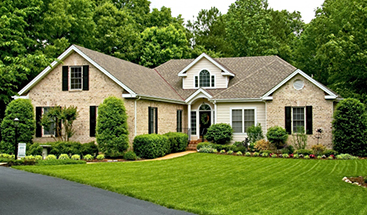 This spreads allergens throughout your home, leading to health issues. Moreover, the dirtier your ducts, the more difficult it is for your HVAC system to move the conditioned or heated air through the home. This can lead to undue wear and tear on your HVAC systems, leading to costly repairs and service calls. After you’ve had your ducts cleaned, it’s also a good idea to then seal them. Without proper seals, your ducts can allow more debris into them. Often, unsealed ducts have a gap between the edge of the vent and the drywall, allowing air and allergens to sneak inside. Sealed ducts limit the amount of dander allowed to build up and prevent dander from being distributed around your home. With all this talk about not dodging your ductwork, it’s easy to forget about your vents. But like your ducts, you should also be diligent in cleaning your vents. A simple pass with a vacuum cleaner with a HEPA or pet-specific filter is often enough to capture all of the dander built up in your vents. This should be done every one-to-two weeks to reduce the impact of dander in your home. If you’ve felt a change in the quality of your indoor air, it’s time to schedule an air quality test with Legacy Air Conditioning And Heating Services. By using EPA approved ultraviolet lights, Medical Grade air purifiers, HEPA media filters, and ERV fresh air systems, we can help to eliminate allergens in your home, allowing you to breathe easy. Contact us today to schedule your appointment!